This post is old, so what you see here may not reflect my current opinion and mindset, certain information may be outdated, and links may be broken. I saw this recipe, and I suddenly had this urge to try it. I had to go grocery shopping anyway, so before heading to the commissary, I checked out the PX for a bundt pan. I did not find any. ~_~; So I decided to try it in that rectangle pan instead. I ended up modifying the recipe a bit. 2. Microwave 1 1/3 cups morsels in uncovered microwave-safe bowl on medium-high power for 1 minute. Stir. The morsels may retain some of their original shape. 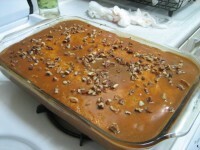 If necessary, microwave at additional 10- to 15-second intervals, stirring until melted. Cool to room temperature. 3. 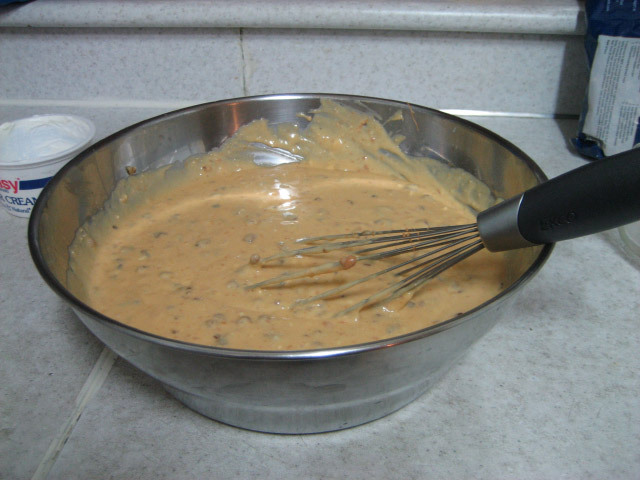 Combine cake mix, eggs, sour cream, milk, rum extract, butter and melted morsels in large mixer bowl. Stir in 1 cup nuts. Pour into greased up pan. 4. Bake for about 60 minutes. 5. For the glaze, microwave the remaining morsels and the milk on medium-high. The morsels may retain some of their original shape. If necessary, microwave at additional 10- to 15-second intervals, stirring until melted. Cool for 5-10 minutes. 6. 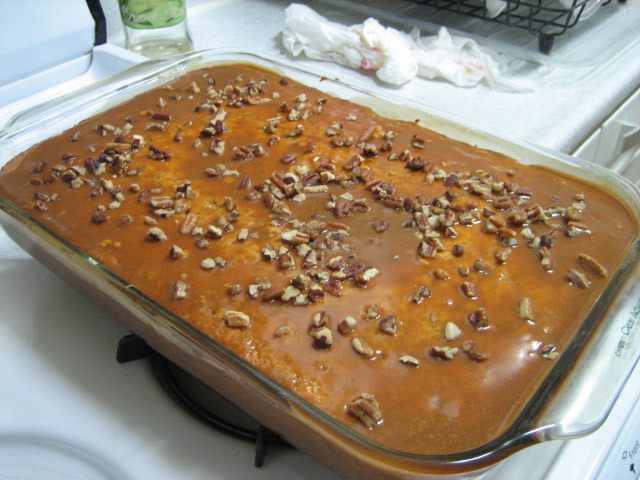 Pour glaze over cake and sprinkle with chopped nuts. The end results? It came out so moist and so delicious! Just, nommmmmmm! Definitely beats that 4,800 won ($4.50) cupcake from Monster Cupcakes, a new store in my neighbourhood. Honestly, the more I bake, the more I realise that some places just cannot make their stuff right! That looks awesome! Ah I love baking, I should give your recipe a try! Yeah, these gourmet cupcakes are not worth the price. I mean considering that what cost me about $10 ingredients yield me about 35+ regular sized cupcakes instead of 2 or 3 for the same amount of price! With the cucpake I had tried, it was just blargh both icing and cake! So I’ll stick with making my own cupcake LOL. Far cheaper and yummier! The rum was just flavour. It really adds to the cake :D I love it! Yum yum! Your cake made me think of the desserts we ate in Korea. Was it waffles or crepes? I just remembered it had a lot of whipped cream! So good. or they just put a ridiculous spin on a good ole recipe!! ugh. It is very nom, nom, nom! 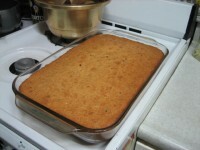 Though I discovered using real rum made the cake even better!